I was part of the way through a mid-afternoon newscast on CHPQ-AM Radio in Parksville, BC when the hiccups started. "There was a head-on collision this morning on the Island Highway that HIC!....took the life of three people," I began. "According to police, slick highway conditions HIC!...may have been a contributing factor." Every couple of seconds in the remaining five minutes of the news, I involuntarily erupted with a thunderous HIC!, getting louder and louder as the malady took root. "In sports, the Montreal Canadians beat the Boston HIC!...," I said, as I laughed, surrendering to the absurdity of the moment. To put it into context, CHPQ was a small radio station in what was then, a tiny market, primarily serving the multitudes of seniors living out their best years in the Vancouver Island paradise. We were a staff of two when I first began, with the General Manager taking care of sales, production, and the afternoon drive show while I did news and mornings. Oftentimes, I was the lone person in the station, situated in a 1950s-era strip mall just a couple of blocks up from Rathtrevor Beach, a bastion for sunbathing and sand castle building. I had no control over my voice, my ability to communicate, for a brief sliver of time. 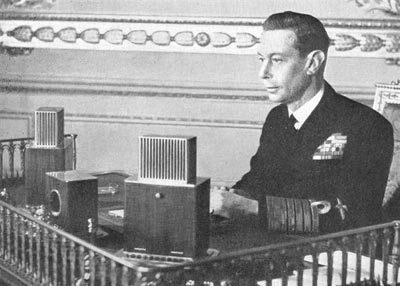 How George VI managed to find the courage to fulfill his duties - first as Duke of York and later as King, following the abdication of his brother Edward VIII - despite a paralyzing stammer, I can't even begin to imagine. 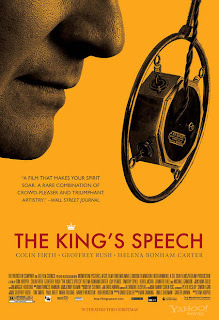 The King's Speech, directed by Tom Hooper and starring Colin Firth as George VI, attempts to give us a first person perspective of what it might have been like for Prince Albert, Duke of York, Birtie (nickname for Albert), King. 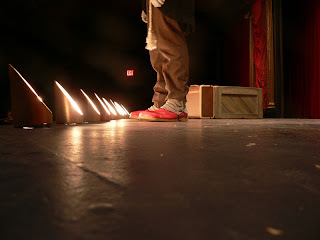 Time stands still as the words struggle to jump from the mind, up the throat, across the palette and through the lips. The silence is interminable, the wait, forever. 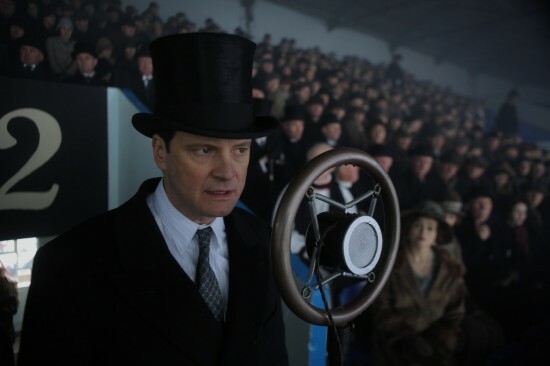 In every scene that Firth's character is expected to speak, the intensity and anxiety build, like waiting for that hiccup that is about to interrupt an unsuspecting sentence. The camera angles, the elongation of time, the sound editing, all combine to take us into the heart of the Reluctant King. 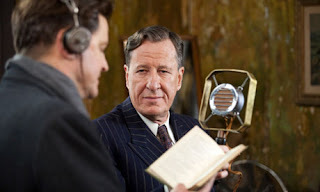 Geoffrey Rush is sublimely brilliant as Lionel Logue, an Australian born wannabe actor turned speech therapist who created treatments to assist shell-shocked soldiers after WWI. He was brought in to work with Birtie after all others failed. They started working together in 1926, the year after a dreadfully painful speech at Wembley Stadium for the British Empire Exhibition, the event that opens the film. By 1927 the stammer had been overcome, though Lionel and Bertie continued speech therapy for the next several decades becoming lifelong friends. When the footlights are shining up at you, when an expectant audience awaits your next sentence, as your colleagues on stage hope and pray for you to find your next line, time stops and you find yourself in a silent and lonely place. Those of us who have tread the boards have all been there, in that moment when our minds go blank and we have no idea what to say next. 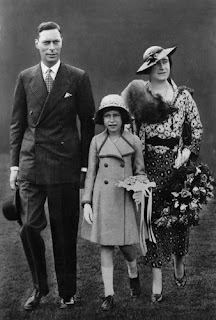 The fear, anxiety and hopelessness are all-consuming - feelings that must have been constant companions of the father of our Queen. That the King found his speech, we are grateful, as he was able to substantively inspire the outcome of our fight against tyranny in WWII. That this private portion of a very public life was illuminated in film, we are also grateful. 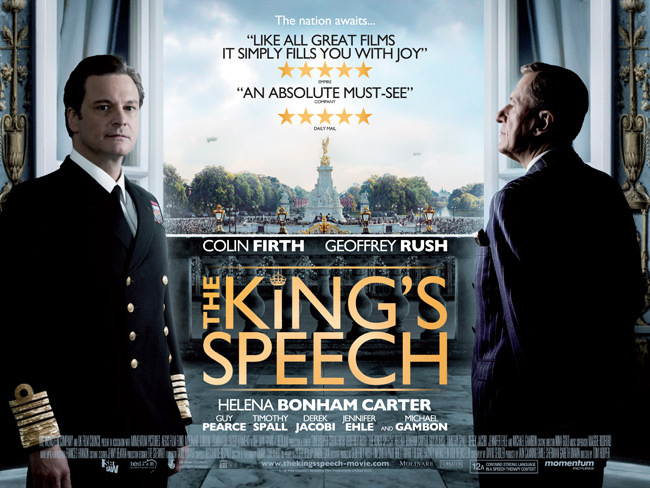 That The King's Speech won many of the biggest film awards of the year, we are not surprised. 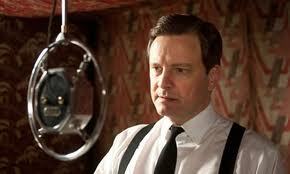 I saw the King's Speech on the flight from Toronto to London. 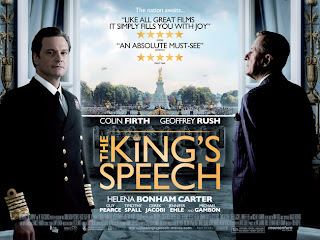 It helped in getting the perspective of Old London and British Monarchy..... an amazing fight put up by the King an impressive film.